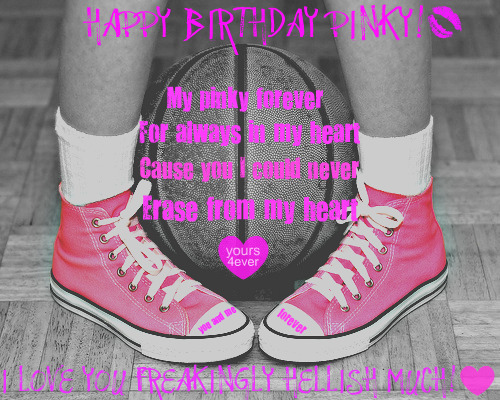 HAAAAAAAAAAAAAAAAAAPPY B-DAYYYYYYYY PINKY♥. Hope you've had the BEST birthday baby!!! I LOVE YOU SO FREAKING MUCH!!!! Hope you like this(':. Wallpaper and background images in the Maria&Jєnn♥ club tagged: happy birthday pinky brenda my love ♥.